Romania – The President’s ‘Breaking Bad’: When Does Negative Campaigning Work? With one year to go until he stands for re-election, Romanian president Klaus Iohannis appears willing to go outside his defining detachment and become a fire – starter in the already tense framework of cohabitation. The conventional wisdom that negative political campaigning works has been largely dismissed by research results. Scholars found no evidence of its success (see Lau, Sigelman and Rovner, 2007 for a literature review) or even claimed that the choice of negativity is disadvantageous, in contrast to the effects of positive messaging (Malloy and Pearson-Merkowitz , 2016; Claibourn 2012) and in particular for incumbents (Blackwell 2013). We then continue to ask why candidates and political consultants believe in the effectiveness of attacking opponents. Most research on this topic focused on the US political system, but throughout the next year of presidential campaigning, Romania may provide a novel experimental setting to answer the same question: is political ‘breaking bad’ a good strategy to win presidential elections? Most recently, President Iohannis (National Liberal Party – PNL candidate) concerned the EU by declaring that, (mostly) because of the incompetence of the social – democrat led government, Romania is unprepared to take over the EU’s rotating presidency on January 1, 2019 (NY Times reports). A declaration that was intended to win him points in national politics quickly escalated internationally when the Finnish PM, Juha Sipila, declared they are ready to take over earlier should Romania default on its obligations. This prompted the Romanian Minister of Foreign Affairs to issue an official statement denying the presidential claims and ‘stressing the importance of handling with responsibility information that is not founded on concrete endeavours (sic) and which may affect the image of Romania (…)’. Since this exchange, Romanian diplomats in Brussels have to publicly defend the on-going preparations. Following this statement, the president suffered a backlash from his usual supporters, motivating him to soften his position by stating it was still possible to be reasonably prepared. Given the usual dispassion of president Iohannis for political conflict coupled with the positive nature of his discourse in the first campaign (2014) and the first 4 years of mandate, his recent preparedness to lash out with negative attacks on the government can provide the counterpoint in a comparative test of what makes successful campaign strategies. Iohannis’s reactions are motivated by the criticism he endures for not being active on the public stage (I previously reported on this blog on the preference of president Iohannis to use formal powers and overlook informal ones). And in spite of the apparent uselessness of negative discourse, in the absence of a constructive policy agenda and constraining tools, there is one important effect of conflict framing and negativity that can be relied on for electoral success in the Romanian context. Research results found (conditioned!) effects of negativity on increasing voter turnout. Krupnikov (2012) showed that negativity increases the likelihood that an individual will make a candidate selection. And conflict framing in campaign news mobilized voters to vote even in the less electorally engaging European Parliament elections (Schuck, Vliegenthart and DeVreese, 2014). This factor becomes increasingly important given that voter mobilisation is a substantial concern for presidential candidates in Romania and usually tilts the balance between winners and losers. Conflict framing has been at the base of Romanian elections since the early 1990s (see Anghel 2017 for a review of Romanian ‘anti-’ campaigns). In this broad agenda type of political contests, technical superiority, emotional voting and political calculations have a substantial importance. The position of a non – Social – Democrat Party (PSD) presidential candidate is naturally advantageous. Opposition parties can compensate their organisational weaknesses by unifying non-PSD voters, while the PSD is stuck at approx. 20% in voter preference. A constant dwindling of turnout to less than 50% has secured PSD (partial) legislative victories, since their approx. 20% supporters also show up at the polls. The higher turnout in presidential elections has failed to deliver the PSD a victory in the past three runs (15 years). Consequently, the effect of predominant conflict framing may be a mobilizing factor once again and increase the chances of president Iohannis for re-election. But this is highly context-dependent and not all researchers agree that the effect of negative campaigning is substantial on voter turnout (Garramone et al. 2009). It therefore may not be worth pursuing this strategy alone, as it can easily backfire. Other studies show that negative political campaigning evokes negative affect toward both the targeted opponent and the sponsor (e.g. Merritt 2013). Increasingly aware of his electoral weaknesses, Iohannis also made an appearance at the yearly PNL Congress (August 4, 2018), showing his support for the PNL leadership and program and lobbying for their organisational support in the elections. Having political proxies (or lobby groups) to deliver negative messages for the candidate is also better than when the candidate delivers them. According to Dowling and Wichowsky (AJPS, 2014), “candidates can benefit from having a party or group ‘do their dirty work’”. However, the current relation of PNL with the president is jaded and many strong local party leaders lack the incentives to engage in the hard presidential elections for another win for Iohannis, who has not collaborated with them in the last four years. For a political attack to work, it must raise a credible issue. This is not difficult for the incumbent president, as the PSD led government has gone through a series of unpopular controversies related to justice system reforms. Yet the decision to ‘go negative’ to benefit from increased voter turnout appears counterproductive on all other accounts or, at best, difficult to manage. Should president Iohannis decide to continue on this path, the 2019 elections will provide the conditions for a comparative within case study of presidential political campaign strategies. This entry was posted in Europe, European Union, Romania, Semi-presidentialism and tagged electoral campaign, informal powers, negative campaign, political communication, presidential elections, Romania on November 20, 2018 by Veronica Anghel. In the 2013 novel ‘A Delicate Truth’, former MI5/6 spy and novelist John le Carré presents the ‘deep state’ as ‘the ever-expanding circle of non-governmental insiders from banking, industry and commerce who were cleared for highly classified information denied to large swathes of Whitehall and Westminster.’ The popular writer has constantly known how to position his plots in the palm of contemporaneity. Increasingly, politicians use the scare of the secrecy of the ‘deep state’ for a useful one-dimensional identification of an enemy and conspiracy theorists are slithering from the margins towards the mainstream on the waves of social media. At the same time, political scientists increasingly acknowledge the existence of unquantifiable intervening factors that may alter the predictable outcomes of formal institutions. How much is the balance between democratic institutions affected by the existence of a ‘deep state’ and is there a use to professionally trace its attributes without falling in the traps of literally mystery or legitimize populist discourse? The most common place to find the ‘deep state’ is in the results of discourse analysis. While politicians can use different names for what it is, they rely heavily on its power to be all encompassing and mobilize electoral sensibilities. In the US, Stephen Bannon announced the White House’s war against the ‘administrative state’, a conception of the ‘deep state’ that pits President Trump not against an economic privileged class, but against clerks and civil servants who are perceived as obstacles against the success of his political platform. Republican Ron Paul referred to such obscure interests as ‘the shadow government’. This understanding of detrimental networks of authority for representative governance finds its adherents further back in US history. President Theodor Roosevelt announced his own belief in the existence of an ‘invisible government’ that cannot be held accountable by the people. In Central European politics, reproving the ‘colonizing interests’ of the West – via Western corporations or enabled through Brussels and its EU civil servants – and/or chastising the secret services as enablers for hidden undefined interests are increasingly more common elements of political rhetoric. Such discourses use the logic of a Manichean zero sum game approach – the ‘good’ us against the ‘evil’ others – and incentivize emotional societal division. The Polish Kaczyński administration actively pursued the re-investigation and promotion of the Smolensk tragedy not as a result of faulty rational decisions as shown by a previous report, but of treacherous intrigues sponsored by Russia and other perpetrators that remained nameless. In Hungary, a useful name was at hand, as George Soros was identified as the social – liberal Western capitalist who is an obstacle against the state sponsored return to conservative values and nationalist economy. Consequently, the ‘deep state’ became known as the ‘Soros Army’. Contenders of the Orban regime use the term ‘mafia state’ to identify the structures that run parallel with state institutions and which are run through oligarch proxies of PM Orban and the FIDESZ party. Bulgarian PM Boiko Borisov announced during his first mandate in 2009 his own fight with what he considered is a deep infiltration of organised crime inside the government, working for personal economic interests. Similarly, his contenders claim (ex. here or here) it is PM Borisov and other government leaders with long running ties in the Bulgarian Communist Party who chair networks that result in a ‘state capture’. In other hybrid democracies, such as Turkey, the military is an unaccountable power group that more blatantly and more frequently curbs the power of elected civilians. In Romania, this inner core of the establishment able to conduct in secret a blurring of public and private interests is branded as the ‘parallel state’. The ‘parallel state’ allegedly represents a consortium of unidentified interests of secret services, foreign – connected NGOs and representatives of different branches of the judicial system linked to former president Traian Băsescu who use state resources for their aims. A quantitative analysis of the most important political speech of the year 2018, delivered by the chairperson of the governing Social Democrat Party (PSD), Liviu Dragnea, at an assembly of over 150 000 PSD supporters shows that the ‘parallel state’ is at the core of his concerns. At the same political assembly, another PSD leader delivered a speech in English, cheering president Trump’s fight against the ‘deep state’. Mr. Dragnea considers it the main obstacle standing in the way of PSD fulfilling its policy program, while also having the ability to change election outcomes and intimidate state officials through prosecutions. Similar analyses show comparative frequencies of references to the ‘parallel state’ in public discourses of other leaders of the governing coalition. Such concerns are reinforced by junior partner ALDE and senate chairperson, Călin Popescu Tăriceanu. This phrase has become so common use in Romanian politics that even in internal fighting of PSD members, members accuse each other of ‘using the means common to the “parallel state”’. By these, they mean illegal phone – tapping or other types of interception of communications using state resources. This is usually a cause for escalation of tensions and media speculation. The wide spread use of the scare of an almighty ‘parallel state’ that reminds of the communist security service is a source of citizens’ erosion of confidence in state institutions and the progress made towards the independence of the judiciary and in the anti-corruption fight. Electorally, this translates into support for the government’s program to reform the justice system. It also leads to steady decrease in voter turn – out as citizens increasingly believe politics is a murky territory their vote cannot affect either way. Lower voter turn –out is a technical advantage for the PSD who relies on a captive electorate. President Băsescu, the main actor accused of chaperoning this complex system of interests during his mandate, declared there is no such thing as a ‘deep state’, but affirmed the existence of prosecutors, judges and other persons, from within institutions, but not representing those institutions, who abused and misused power. President Klaus Iohannis altogether denied the existence of anything similar to what the PSD leaders claim exists in Romania. The identification of this useful enemy that is everywhere and nowhere is a useful campaign tool. But is there anything that can be taken out of the shadows and systematically researched for a better understanding of weaknesses of formal institutions? The aristocracy of pull or how much ‘deep state’ ? The countries of Central and Eastern Europe (CEE) increasingly prove to have multiple centres of informal authority with fluctuating degrees of influence on the process of democratization and state institutionalization. The introduction of democratic institutions – and their intrinsic formalisation of elite relationships -clashes with persistent informal practices. 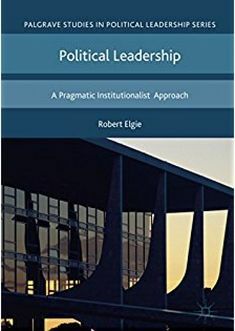 In other words, the formal changes introduced from above met significant resistance from patterns of informal norm systems, which are also the source of clientelism, corruption and networks of political patronage. The widespread acceptance of these informal norm systems caters for whichever presiding force finds its way into loci of state power. By circumventing predictability, their effect is anticompetitive and antimeritocratic, favouring those who are ‘in-the-know’ and have privileged access to politicians. This eases the appearance of one – party state forms of political organisations, regardless of ideological inclinations. Consequently, the Romanian ‘deep state’ is much less the conspirator centralized system chaired by any one interest group at any one time, but a fabric of relationships that uses different types of barter as a source of maintaining power among an established political and economic elite. The extent to which this is a part of the decision making process affects the state of democracy as a whole, but cannot controllably and substantially satisfy the interests of any one centralized interest group in the longer run. The ‘deep state’ is not in itself the all-powerful Leviathan, but resembles the timeless aristocracy of pull. It is a complex puzzle of unwritten, informal norms and relations that requires empirical research for a better understanding of power dispersion and agenda setting. This entry was posted in Europe and tagged agenda setting, deep state, Democratization, Eastern Europe, informal powers, Populism, Romania, shadow government on September 20, 2018 by Veronica Anghel.